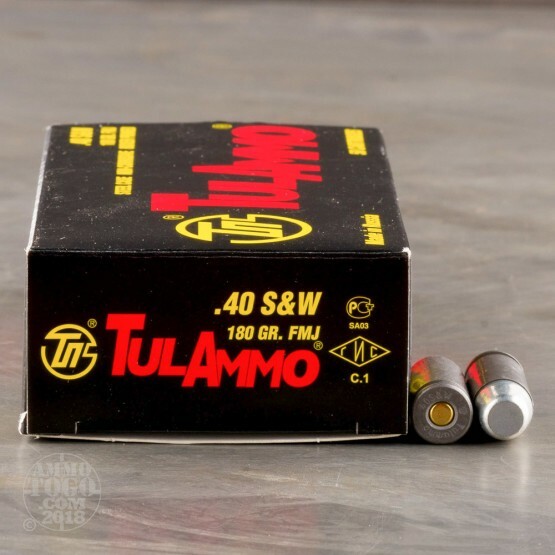 This 40 S&W ammunition from Tula is great for affordable range training. 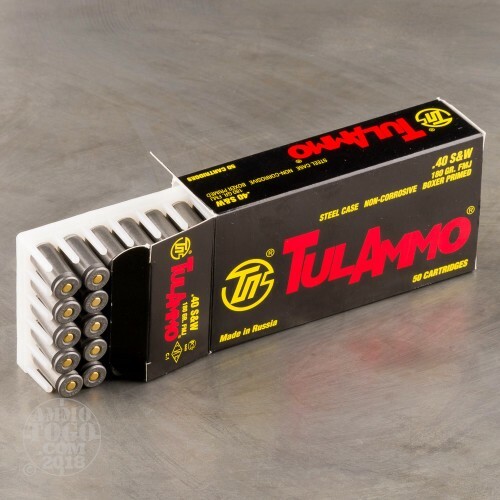 Tula loads these rounds into cost effective steel cases that are boxer primed and not re-loadable. 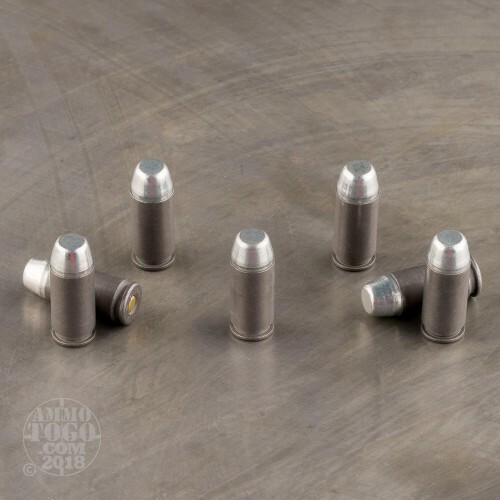 Each projectile in this case of 500 is a 180 grain full metal jacket that averages 919 feet per second at the muzzle. 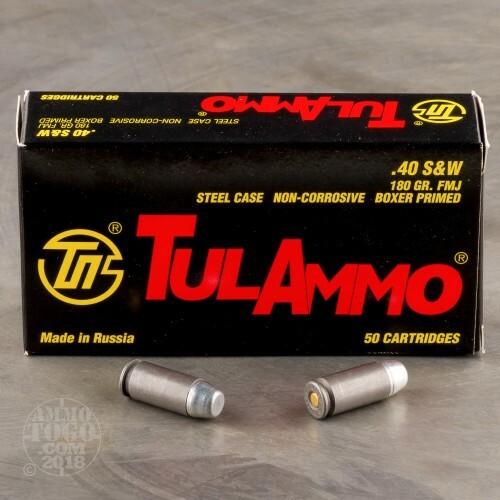 The Tula Cartridge Works, located in Tula Russia, has been producing ammo since 1880. They are know for producing millions of steel cased cartridges every year that are exported around the world. Bullets may come as Zinc or copper coated. Shot thousands of these rounds and they always run great. Never have any FTF/FTE in my Glocks. Great for range. Very good price. Great shooting Ammo. My Glocks 22,23 and 27 eat it up. No problems. Will buy more. Good price, great shipping time! Love this stuff. Never had a problem. Mother Russia makes great ammo. Oh fyi guns get dirty with any ammo. Dont be a lazy, just clean your weapon. Thats part of the experience. I've had great service from TULAMMO. Great for target practice at a good price. Horrible ammo. Shot this in my Springfield Armory XDS and jam after jam after jam. I had to ram the spent 'brass' out multiple times after it stovepiped. Tried different box, same result. I bought 100 rounds and have 90 still left.